A ten-year social experiment where a person who matched a statistical profile of an average citizen in Sweden, was searched for and offered the opportunity to influence the Swedish public opinion — which she statistically represented — through a long-term strategic plan which combines research methods of social psychology experiments with the most sophisticated techniques of opinion making drawn from the lobbying, public relations and marketing industries. 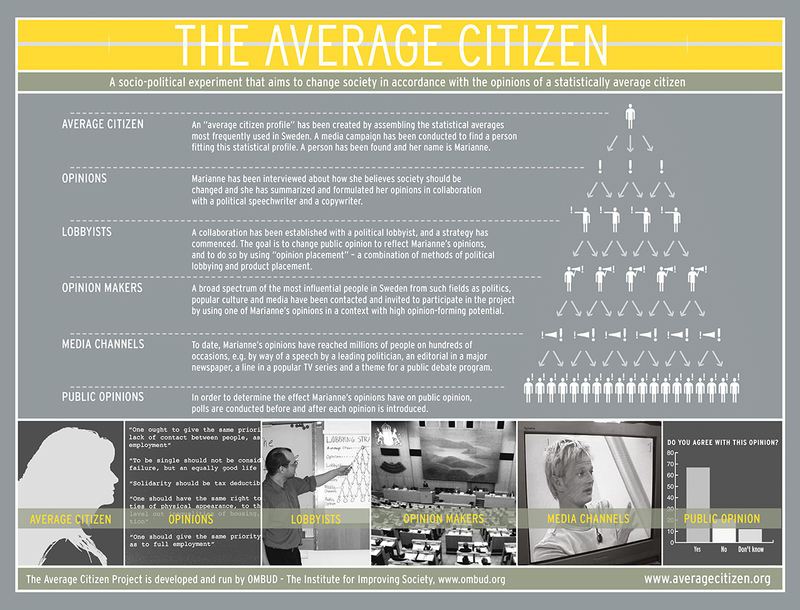 Strategy of The Average Citizen project. Marianne has been interviewed on how she believes society should be changed and her opinions have been gathered in an “average citizen data bank.” In collaboration with Marianne, a political speechwriter and a copywriter have summarized and formulated her opinions in short, forceful slogans. A broad spectrum of the most influential people in Sweden from such fields as politics, popular culture and media have been contacted and invited to participate in the project by using one of Marianne’s opinions in a public context with high opinion-forming potential. As with all effective lobbying, Marianne’s opinions are presented indirectly, so the public is unaware of the identity of the originator of the opinions. To date, Marianne’s opinions have reached millions of people on hundreds of occasions, e.g. by way of a speech by a leading politician, an editorial in a major newspaper, a line in a popular TV series and a theme for a public debate program. During the course of the project, opinion polls will be conducted both before and after an opinion has been introduced to the public, in order to determine the effect Marianne’s opinions have had on public opinion. 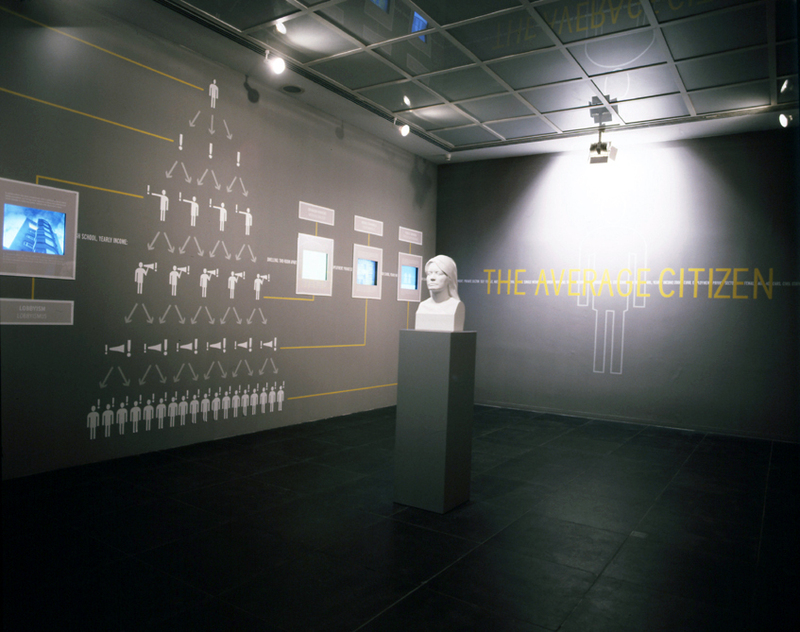 Short video presentations of the different public context where The Average Citizen Marinne’s views have been introduced. Statistics have been one of the 20th century's most effective instruments for social change. By incarnating the goals of the sciences – to be able to translate a complex reality into a rational and easy-to-grasp model, statistical type, median and mean values have formed the very foundation of Swedish social engineering. In the popularisation of statistics, a typical individual who summarises all the characteristics of a nation or some other population group has often been used. This fictitious, statistical person, who is referred to in Sweden as "the average person", "the average Svensson" or "the average citizen" provides the basis for research, debate and planning by government agencies of most public sectors of society that affect the daily lives of citizens. But even other parts of the society such as commerce and industry, trade, the media, advertising and the services sector largely adapt their services and products to the average preferences of the clientele they are focused on. Last but not least, the principle that an individual citizen may represent a larger population is the very foundation of representative democracy, in that political representatives are elected in general elections. The current democratic system is, however, facing a number of serious problems in Sweden (as in many other countries). In an inquiry into democracy commissioned by the Swedish government (Demokratiutredningen), it was found that civic engagement has declined and that the interest in political issues that does in fact exist has shifted away from the traditional party politics to "single-issue organisations". At the same time, the political influence of commerce and industry and the major interest groups has increased through professional lobbying, and political parties have also become increasingly dependent on PR consultants and effective marketing to get attention for their issues. In an increasingly mediatised and lobbying-dependent public conversation, the individual citizen's opportunities for getting an issue onto the political agenda are fairly limited. Sweden's representative democratic system gives every citizen a statutory influence at the ballot box every four years. Between elections, the citizen only has recourse to writing to a representative or contacting their local member of the parliament. Citizens are also afforded the opportunity to present their views on, for example, the daily newspapers' letters to the editor pages, on talk radio programmes, by e-mails and SMS to current affairs programmes and on internet forums, blogs and social media. But these channels have often a more symbolic function than any real political impact. Today, getting media and in particular political attention is not only about being able, in practice, or having the formal right to, get a question onto the political agenda. Increasingly, it is also about who, in what way and in what context this is done. * Marianne is, by her own request, only referred to by first name in order to protect her personal integrity. Presentation of the project at Manifesta 4 at Frankfurter Kunstverein, Frankfurt, 2002. 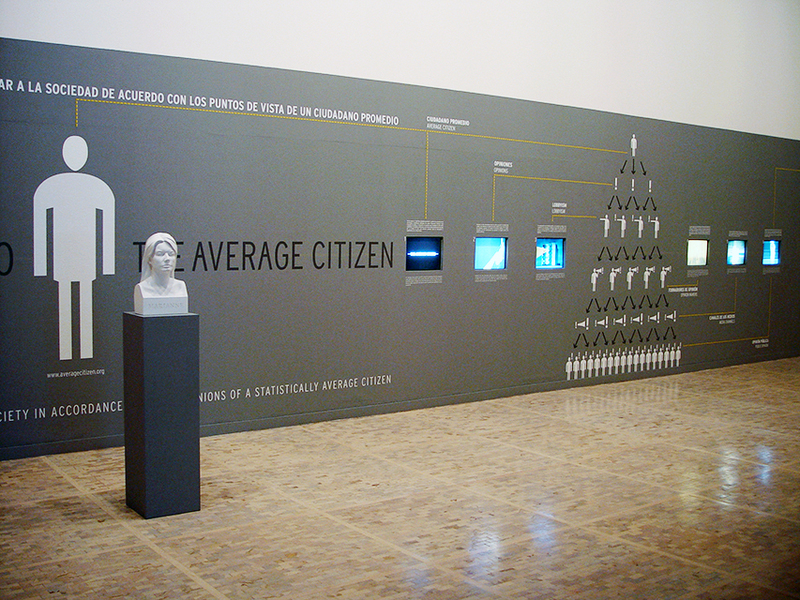 Installation at "Todos somos pecadores (We Are All Sinners)", Museo Tamayo, Mexico City, 2002. 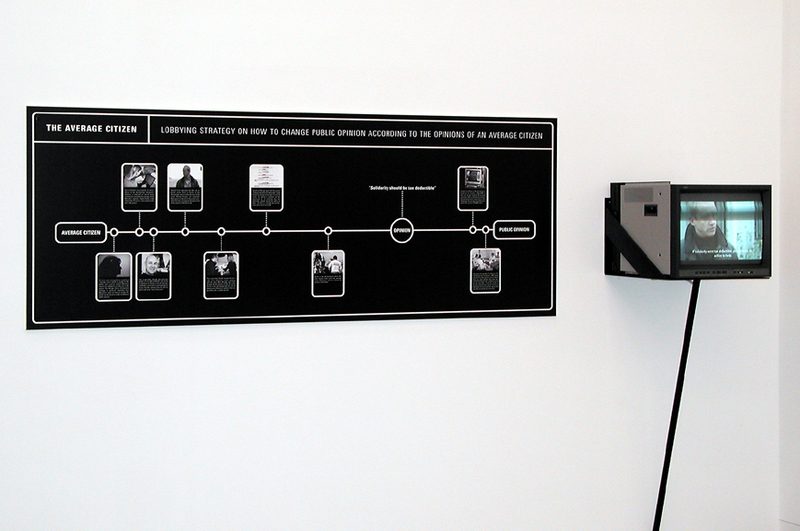 Presentation of the project at "Über Menschen", Schiller Museum and ACC Gallery, Weimar, 2003. 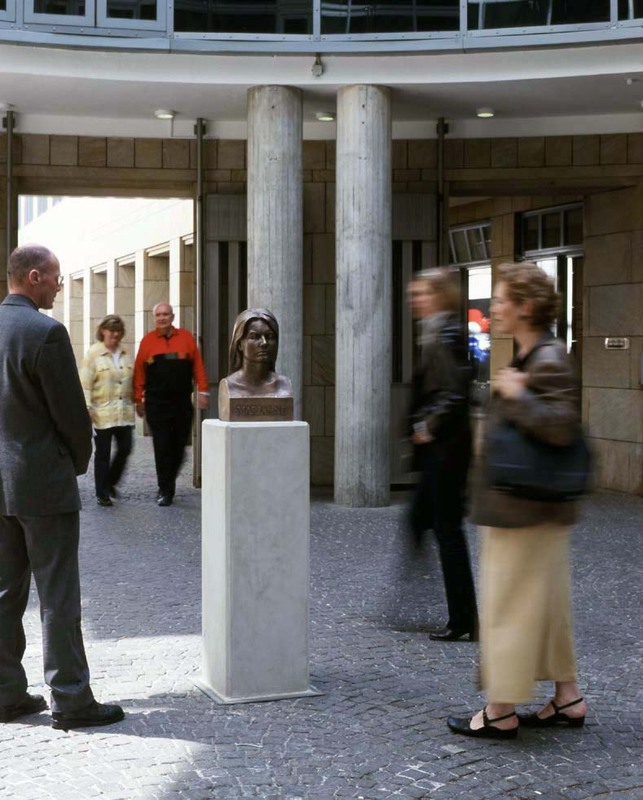 The Average Citizen monument outside Schirn Kunsthalle in Frankfurt, 2002. 1999. 35 x 35 x 172 cm. Bronze, granite and engraverad brass. The City of Simrishamn. A monument which represents Marianne – a statistically average citizen who is given an opportunity to change the world through professional lobbying and opinion maiking. 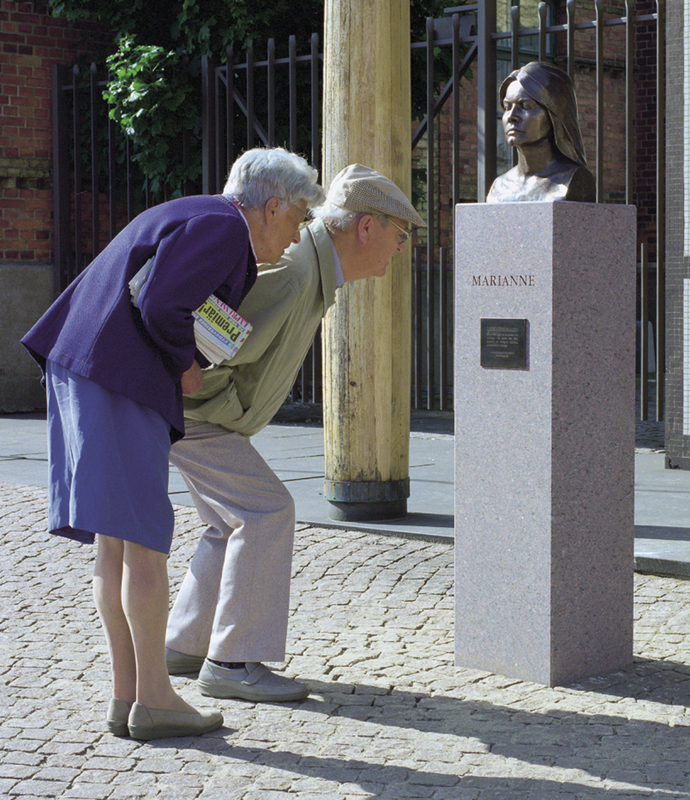 The monument is erected outside of Town Hall at the main square in Simrishamn – an average Swedish town – as a premature manifestation of Marianne’s future political significance. 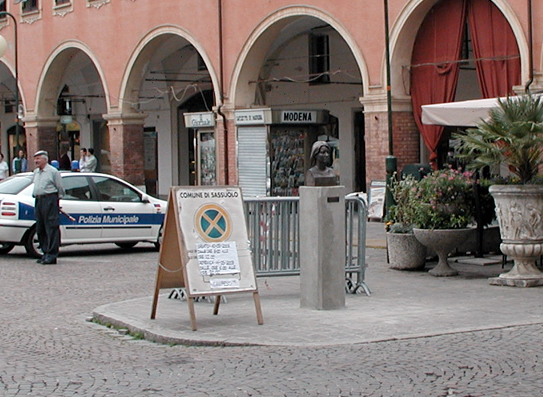 Presentation of the project at Sugli Uomini, Sul Futuro dell'Umano, Chiesa de S.Paolo, Galleria D206 in Modena and Galleria Civica - Paggeria 1 in Sassuolo, Italy, 2003. Presentation of the project at "Television," Kunsthalle Wien, 2001. What People Want, Shamiyeh, Michael (Ed. 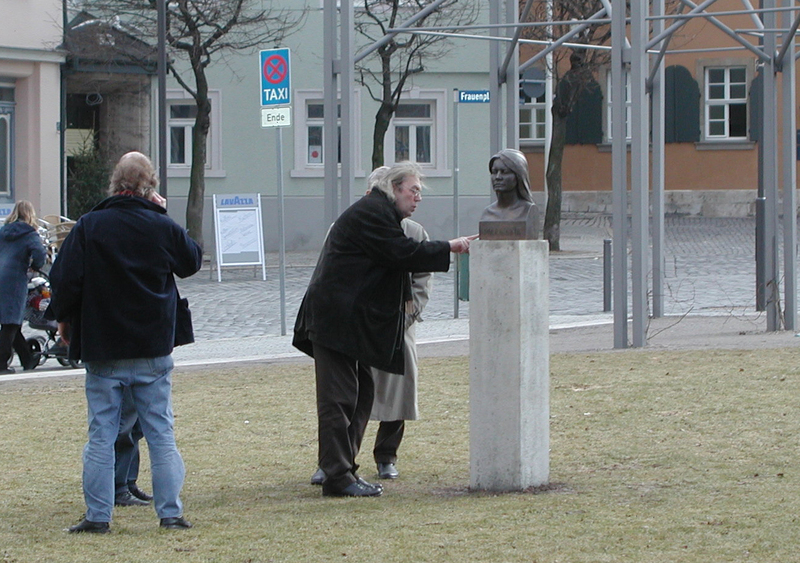 ), 2005, Basel: Birkhäuser. In today's society architects are subject to the dictates of the free market, the global trend towards privatization and the gradual dismantlement of state institutions and authorities. The pressure to alter their projects to conform to market and popular taste is increasing. Does successful design in today s world have to correspond to the wishes of the masses? What exactly are trends and the expectations of the general public based on? Is design always a response contra popular trends, or can adapting to popular tendencies also generate the potential to create a better living environment? This book, which arose from the last DOM conference in Linz, examines the concept of Populism in some 30 expert contributions, gathered into 5 chapters, each beginning with an introductory essay. Short biographies of the authors round off the publication. We Are All Normal and We Want Our Freedom: A Collection of Contemporary Nordic Artists Writings, Sander, Katya & Sheikh, Simon (Eds), 2002, Blackdog Publishing. In recent years, Nordic art has become increasingly influential on the international art scene. We Are All Normal is an anthology of artists writings from the Nordic and Baltic region, providing an essential overview of this exciting and productive period in contemporary art. By gathering together writings by the artists themselves. We Are All Normal looks at art from an artistic rather than art historical point of view, with texts that are poetic, playful, critical and celebratory. Following a number of thematics or lines of enquiry, the texts consider the much maligned Nordic tradition as well as the hyped 'Nordic Miracle' of the 1990s. Also examined are pop and politics, the predicament of the welfare state model, constructions of self, questions of gender and institutional critique, and 'northern style'. The interdisciplinary research project Den moderna ensamheten (The Moderns Solitude) by Maria Karlsson, PhD and senior lecturer in Rhetoric, Literary Studies and Gender Studies at Uppsala University, took its starting point in The Average Citizen Project and the result was published in the book "Den moderna ensamheten", which includes an article by Måns Wrange on the project The Average Citizen as well as articles by nine researchers in philosophy, gender studies, queer theory, social anthropology and literature: Göran Rosengren, Merete Mazzarella, Don Kulick, Margareta Fahlgren, Patrik Mehrens Martin Gustafsson, Niklas Forsberg, Maria Karlsson and Sharon Rider.